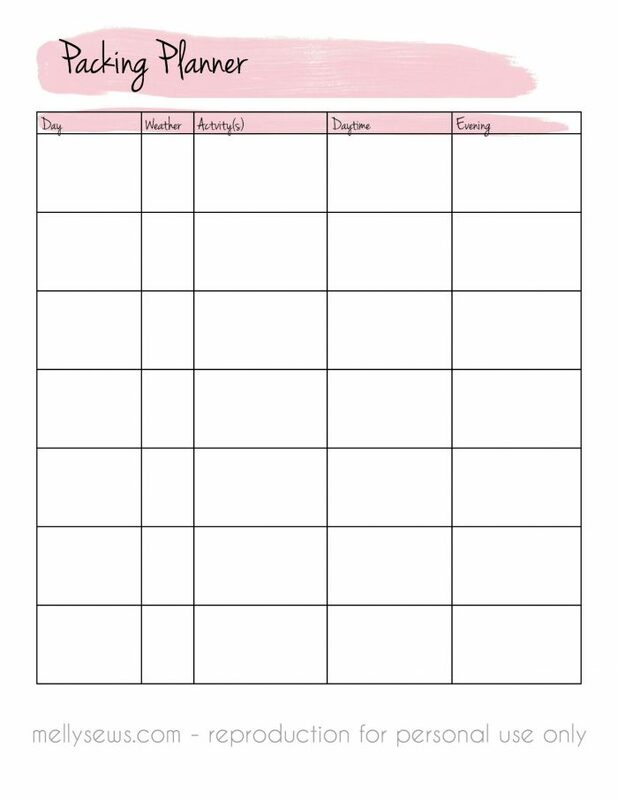 Use this planner to make your travel packing list! Hey y’all! Part of being able to pack well – and pack lightly – for a trip is to have a good plan in place before you start. And if you’re like me and packing = sewing new things up until the last second, a plan is even more valuable. 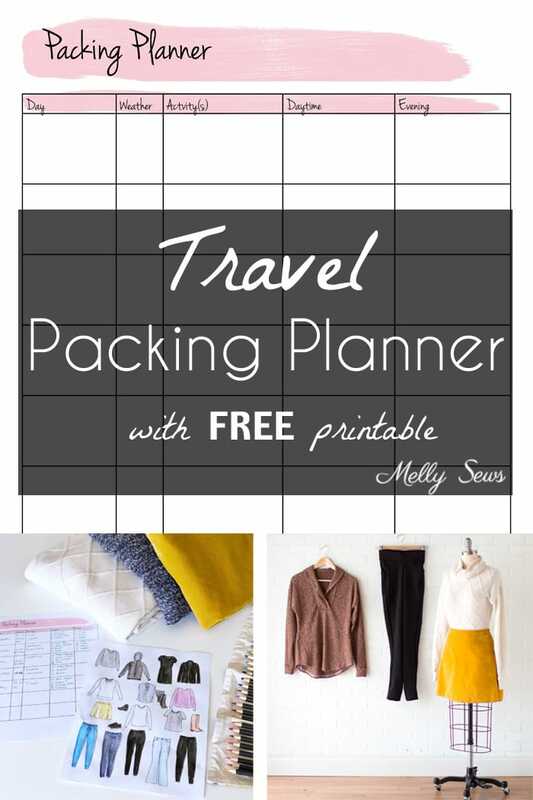 So today I’m sharing my packing planner, and I’ve got a download so you can use it too! 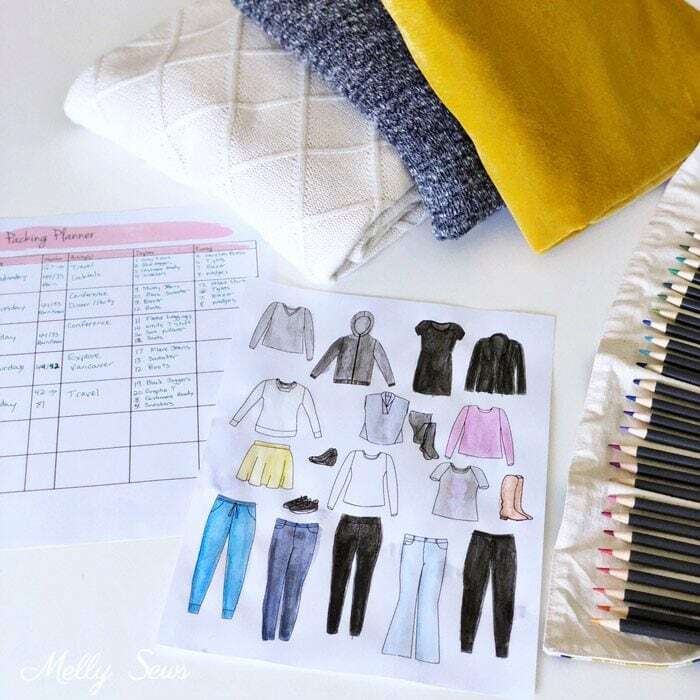 Think about the things that go into choosing an outfit – you pick what to wear each day by assessing the weather and what you’ll be doing. So my planner is just a chart to make you consider those questions ahead of time. It’s not foolproof; I still end up wishing I had some things or that I hadn’t brought others, but it’s definitely better than when i just wing it and throw things in a bag (which I will admit to doing as recently as last summer). So, you can either save the image below (handy if you want to use your phone to pack – screenshot it and then you can write on your screenshot if your phone will let you) or you can print it from here. This year I’ve taken two trips where I’ve started in one climate and ended up in an entirely different one. The first was my trip to Thailand in January. I went from coldest part of winter for me (which, admittedly, is probably spring like for a lot of you, but I’m a wimp) to summer heat and humidity at my destination. And then last month I went to Vancouver, traveling from warm Central Texas spring back into what is the dead of winter as far as I’m concerned. For Thailand, I needed summer clothes. And I actually have a lot of those, because I live in a pretty warm climate. It was a matter of picking the ones to take and also figuring out which new pieces I’d need to sew. So here’s what my list looked like; and then I sketched a few things I wanted to make on my iPad. I also made myself a pair of Skye Joggers at the last minute for airport travel, and I’m so glad I did. I spent over 24 hours traveling each way, so it was great to have comfy clothing that was also black (because inevitably I spill things on myself) to get me from point A to point B. 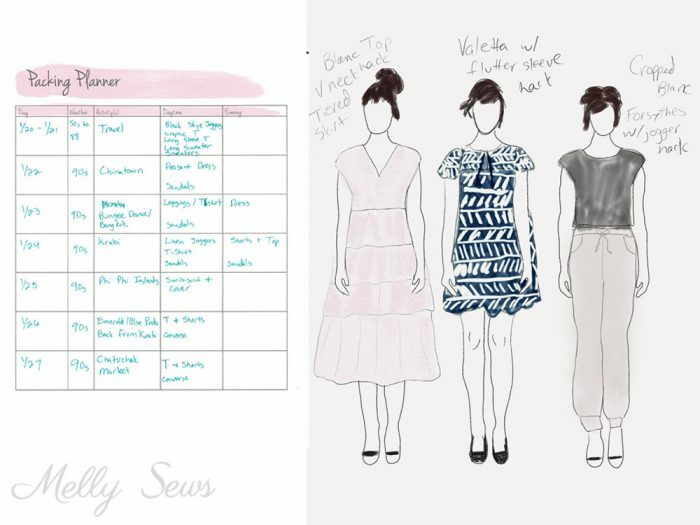 For the Canada trip, this is how I filled out my planner and drew my wardrobe capsule. It takes a while to draw things out, but for me it’s been a useful exercise to see visually what I’m packing and to help keep myself from adding a bunch of “just in case” extras. And here are the things I sewed to take to Canada; I had fun staging the new things as a group to photograph. You’ll notice the blue sweater knit above changed to the cinnamon one below – that was because I decided I wanted sleeves on my Sora Sweater, and there wasn’t enough blue to make that happen. 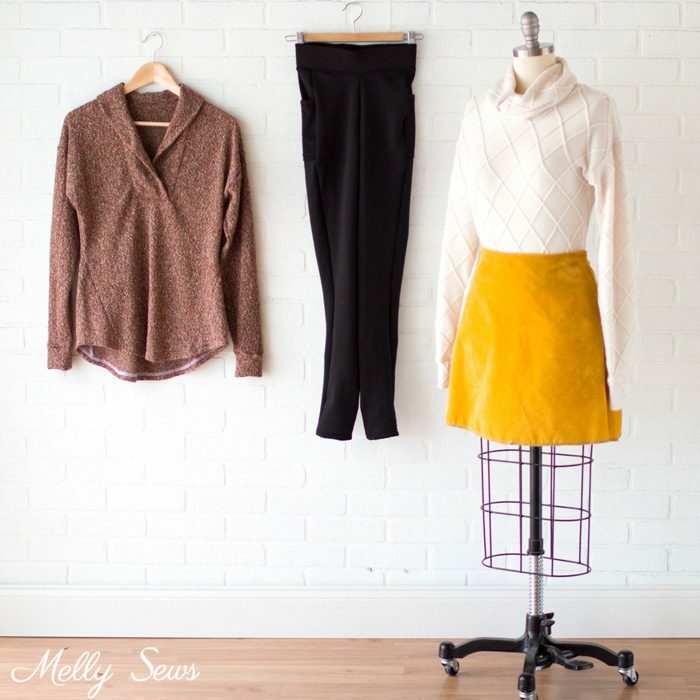 Left to right: Sora Sweater, self drafted leggings in fleece backed polyester from Seattle Fabrics, self drafted velvet skirt and Blanc T-shirt in sweater knit (both fabrics from Joann) with long sleeves from the hack pack and a cowl neck from this tutorial. Now, I probably could have done each trip packing only things I already owned instead of sewing new, but where’s the fun in that? For me there’s the added element of business. When I’m meeting with people as a representative of my businesses, I generally want to be wearing clothes I made. And I’m usually also thinking about photographs I can take in whatever location I’m headed to, so that’s an element of my planning as well.